January 11 marks the 11th anniversary since the first inmates were airlifted into the US detention facility in Guantanamo Bay. With an almost blanket ban on transferring prisoners out of Camp Delta in operation, it is unlikely to be the last one. ­The date has been met with outright condemnation by human rights groups – with accusations that have been aired repeatedly over the past decade, to no avail. 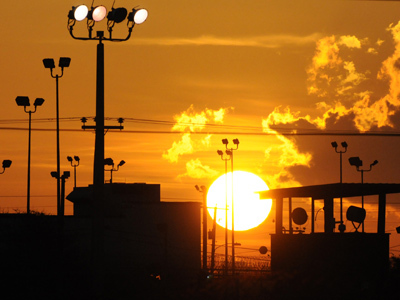 “The USA’s claim that it is a champion of human rights cannot survive the Guantánamo detentions, the military commission trials, or the absence of accountability and remedy for past abuses by US personnel, including the crimes under international law of torture and enforced disappearance,” stated Rob Freer of Amnesty International. 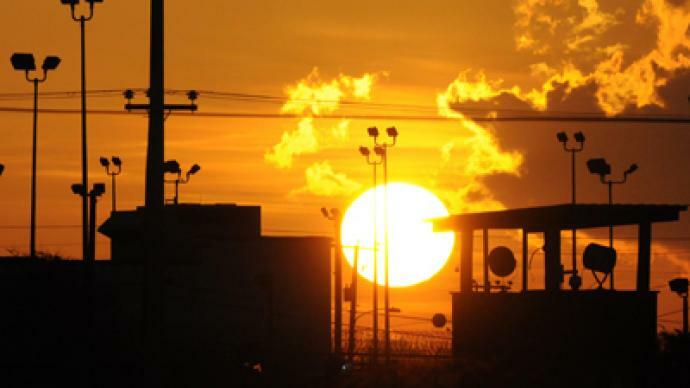 Since George W. Bush established the detention camp that would operate outside normal standards of justice on a secluded base in Cuba, Guantanamo has – perhaps more visibly than anything else – eaten away at any moral high ground the US had in its War on Terror. "The United States has an operation that can only be described as a medieval torture chamber. It’s in violation of Geneva Convention, and in violation of the US constitution. It violates legal principles such as trial by jury that goes back thousands of years," anthropologist Dr. Mark Mason said to RT. But while extraordinary renditions, military tribunals and “enhanced interrogation techniques” are largely a part of Camp Delta’s history (the last inmate was brought here in 2008) its continuing existence is perhaps even less justifiable. It is one thing to capture and hold (potentially) genuine terrorists no-holds-barred, but it is another to be keep innocent people in jail. Shockingly, out of the 166 prisoners who are reported by outside sources to remain in Guantanamo, more than half have been cleared and are actually due for release. But they won’t be allowed to leave. Just how confident Barack Obama sounded of closing Guantanamo during his initial campaign (repeatedly calling it the terrorists’ top “recruitment tool”) seems implausible in the light of what has happened since. Obama ordered Guantanamo Bay shut within a year early in 2009, and still promised he would do so during his Nobel Peace Prize acceptance speech later this year. ­What has happened since has been repeated obstruction by Congress, and a consistent display of weak political will from the President. Initial plans to transfer the prisoners to a newly-constructed facility in Illinois, dubbed “Gitmo North”, were struck down by lawmakers. Further, they used the financial oversight committee to rule that no federal funds could be used to move any Guantanamo inmate to the US mainland. Attempts to try suspects in US courts were also resisted by local politicians. But at least acquitted suspects or enemies who have served their term could be repatriated to their own countries (providing they wanted them and could guarantee them safety – hardly a given). This is no longer easily possible either. 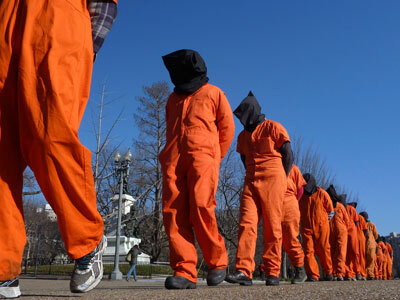 In 2011 Congress imposed a rule where the US Defense Secretary would have to sign a waiver promising that any released Guantanamo inmate would not harm America in the future. As a result, only two people have been released from the facility since 2010. The only other way for people to leave has been to die of illness or to commit suicide. "The memory of Guantanamo is still very clear," says Omar Deghayes, a suspected militant, who was imprisoned partly after being misidentified in a terrorist video, "But getting the media to talk about why it is still open is getting more difficult." 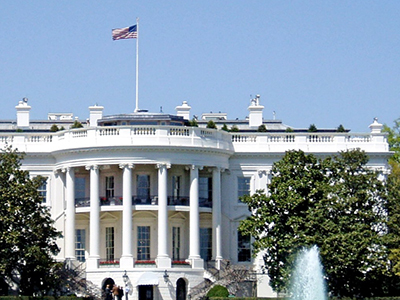 Congress has overpowered the president by bundling the measures in with the National Defense Authorization Act (NDAA), the overall defense budget of the country. 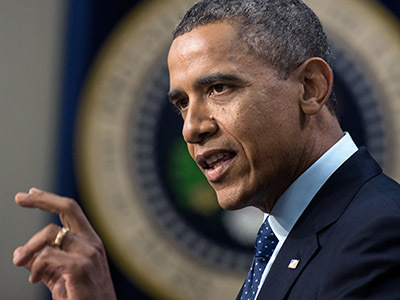 Obama has the power to veto the entire piece of legislation, but not to challenge it. Obama has threatened to do so several times as Congress has imposed more and more stringent measures on Guantanamo, yet has backed down every time. To many of his supporters in the media and politics, Obama has been handed a problem of someone else’s making, for which there is no solution. But human rights experts have been roundly unimpressed. “Under international law, domestic law and politics may not be invoked to justify failure to comply with treaty obligations. It is an inadequate response for one branch of government to blame another for a country’s human rights failure. International law demands that solutions be found, not excuses,” said Rob Freer. “The burden is on Obama to show he is serious about closing the prison,” echoes Andrea Prasow from Human Rights Watch. With extraordinary legal barriers to anyone leaving now in place, it is likely that Obama will not be able to shut Guantanamo even in his second term. It is not clear his successor will even want to. A $150 million-a-year facility (which, as pointed out by the Obama administration, works out at $800,000 per inmate) that has produced only seven convictions, and holds more than 40 “indefinite detainees” – people who have been told they will face no charges due to lack of evidence, but will not be released, as the US has reason to believe they are dangerous, together with nearly 90 people who should not be there at all. Whatever danger these people pose to the US (and no one argues that some of them are extremists), it is not likely to be greater than the damage Guantanamo is doing to its reputation. 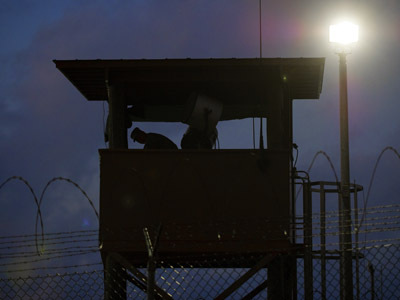 “After 11 years, Guantanamo has immense symbolic power. To all those who believe in justice, truth and the rule of law it represents a continuing injustice,” Aisha Maniar, from the London Guantanamo Campaign, told RT.